When it comes to investments, Johnny Hon is the man to know. The founder of the Global Group has a knack for turning his passions into investments, and vice versa. He is a wine connoisseur, art collector, media mogul, racehorse owner, doctor of psychiatry, tech evangelist, philanthropist and diplomat. He is also an internationalist, having studied at Cambridge and Harvard, and worked in the UK, Middle East and Eastern Europe, as well as in Hong Kong. All of these facets come together in his professional life as a venture capitalist and angel investor, to which he has dedicated the past 20 years, during which time he has provided corporate financial advice and boutique investment-banking services to an array of international companies and institutions. Through the Global Group, he marshals resources and funding to support innovative enterprises at every stage of development, from startups right through to IPOs, drawing on his extensive network of international celebrities and business contacts to help raise funds. While he started out helping international businesses gain a foothold in Mainland China, today he also is at least equally involved in helping Chinese businesses go in the other direction. And the scope of the Global Group’s interests marks Hon out as a modern-day Renaissance Man. In the world of showbusiness, the Global Group provides financing to movies, television programmes, plays, musicals and innovative technologies that will change the way content is consumed in the future. The son of a movie star, Hon has produced films with directors such as Oliver Stone and Derek Yee Tung-sing. He has also launched successful runs of musicals such as Sunset Boulevard and 42nd Street both on Broadway and in London’s Theatreland and his next goal is to take this type of show to Mainland China— as well as bringing Mainland China’s own spectacular stage shows to the rest of the world. Making money in the entertainment industry is not for the faint of heart. But with a bit of discipline and the right contacts, says Hon, it is possible to earn consistent returns. Hon sees Hong Kong as an ideal place for the art market to develop. The city’s proximity to Mainland China makes it the perfect location for Chinese collectors to learn about and collect the works of Western artists as well as to connect international buyers with increasingly sought-after Chinese contemporary art. For many investors, art is now a potential store of wealth rather than simply an expression of it. One of the attractions for investors is that art prices are not directly linked to traditional investments such as stocks and bonds, which means that a gallery of great works can help to add some diversity to a conventional financial portfolio. To capitalise on the sport of horse racing, Hon has spent the past few years investing in a portfolio of racehorses in the UK. While prize money is certainly one of the attractions, the real long term dividend comes from establishing high-quality bloodstock. The Global Group has 40 horses at its operation in the UK and has recently hired French champion jockey Gérald Mossé to ride them on a daily basis and help guide the programme. The plan is that by the time racing begins in Mainland China, perhaps within the next 10 years, the Global Group will have a well-established stable of horses that can deliver a sizeable return for the group and its investment partners. Nothing connects Hon’s personal passions and his investment prowess better than fine wine. Analysis indicates that investment returns from fine wine are more stable than those from stocks, both in the short and the long term, but it still helps to approach the market as a collector, because the best returns come from knowing it inside out. Hong Kong is growing its reputation as a serious destination for wine auctions. Sotheby’s first Hong Kong wine sale of 2018, which featured the finest, rarest wines from the spectacular cellar of a respected aficionado, also set a new world auction record for any single bottle of Japanese whisky, a 50-year-old Yamasaki single malt that sold for HK$2.34 million. Hon advises following popular trends and buying the very best, in particular top-of-the-line Burgundy and Bordeaux, as they retain their value and are easy to sell. And if collectors buy them as young as possible and store them for a while, they are acquiring the wine at a lower price point and it will continue to appreciate in value. 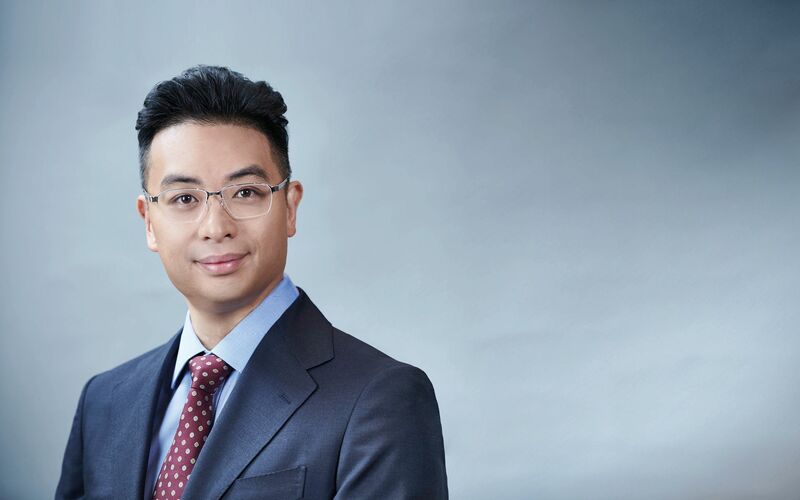 A committed believer in his own vision and an optimist about the power of technology to transform the world for the better, Hon is a passionate backer of innovations such as virtual reality (VR), augmented reality (AR), biotechnology and fintech including blockchain. The group’s biotech investments are focused on cancer treatments, but Hon is also exploring new areas such as the potential to replace opioids with painkillers based on medical cannabis, longevity and healthy aging medicine. He is pursuing entirely new business models in the entertainment industry based on VR and AR, and with blockchain he is developing smart contracts that are turning once-expensive legal documents into commoditised products. To this end, the Global Group is in the process of acquiring a European-based law firm that will bring together lawyers and technology specialists, with a view to fostering expertise in this developing area of law. When he is not making money for his clients and his business, Hon is a passionate philanthropist and serves on the committees of numerous charities. He is a fellow and diamond benefactor of the Duke of Edinburgh’s International Award World Fellowship and is involved in a great variety of philanthropic, political and diplomatic activities both within the Chinese community and further afield. He founded the Hong Kong Qinghai Johnny Hon Hope Primary School in Lanlongkou, Qinghai province; and established the Johnny Hon China Scholarship for International Relations at the University of Oxford. He is also a founding benefactor of business and cultural organisation Asia House in the UK.